A non-stoichiometry Zr0.7Ti0.4V1.5Cr0.4 alloy has been synthesized by arc melting following annealing treatment or melt-spinning to obtain the bulk and ribbon samples, respectively. XRD investigation reveals the multiphase structure consisting of C15-Laves, V-BCC and a small amount of α-Zr or Zr3V3O. The alloy shows easy activation and fast hydrogenation kinetics. The annealed alloy absorbs 2.51 wt% H at room temperature, higher than the melt-spun ribbons. Refined grains by melt-spinning accelerates the hydrogenation of bulk alloy. The absorption behavior in presence of 1 mol% air has been tested to evaluate the anti-poisoning ability. Pressure–composition–temperature characteristics and thermodynamics parameters indicate the low equilibrium pressure and high hydrides stability. Hydrides investigation reveals that the Laves phase dominant multiphase structure contributes to the enhanced hydrogen capacity and multi-stage hydrogen release in DSC curve. 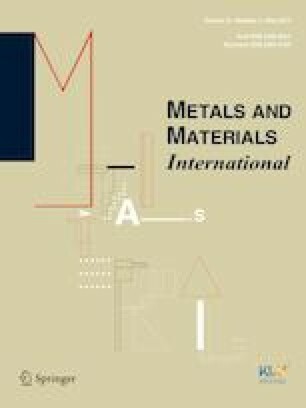 This work is supported by the fund of the State Key Laboratory of Solidification Processing in NWPU (SKLSP201848).